An inexpensive thrift store find gets a classy upgrade. French doors are one of those charming classics that we think never goes out of style. 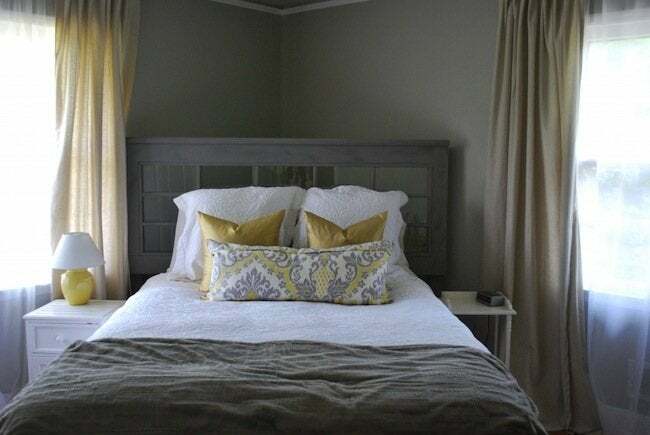 And so that’s why we thought this French door DIY headboard was such an amazing idea. Lindsay from The White Buffalo Styling Co.—along with her family—changed this $20 Goodwill find into a brand new focal point in her master bedroom. 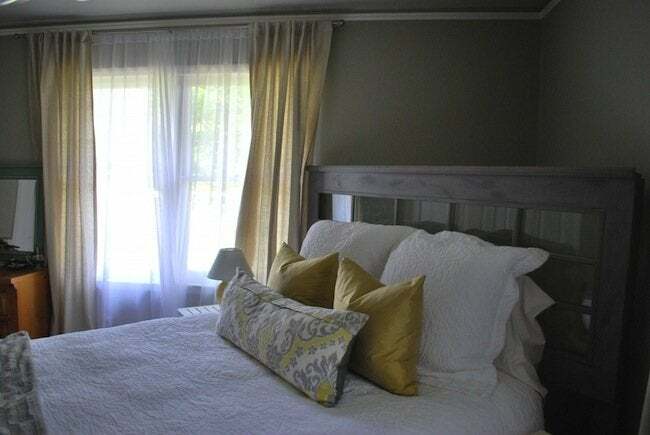 Because Lindsay is a professional home stylist, it’s no wonder that her matching bedding and complementary drapes made this old door looks right at home at the head of her bed. 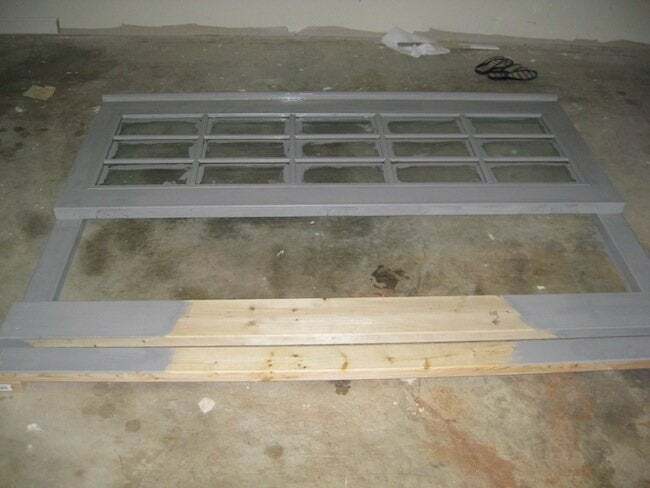 Want to see how she transformed an ordinary door into a one-of-a-kind headboard? Read on. 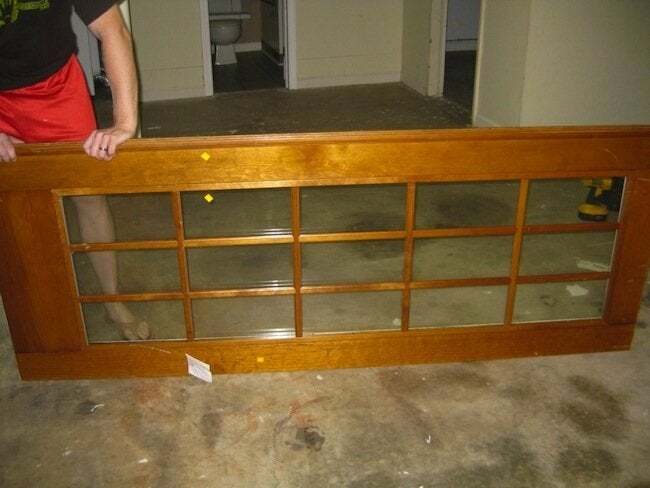 I found this old french door at Goodwill for $20. I will admit, my first thought when I saw it was not “Oh a headboard!”. But it was just too good of a deal to pass up. I paid for it, brought my sweet husband back with me to lift it into the car (it was seriously that heavy), and brought it home to decide how to use it. 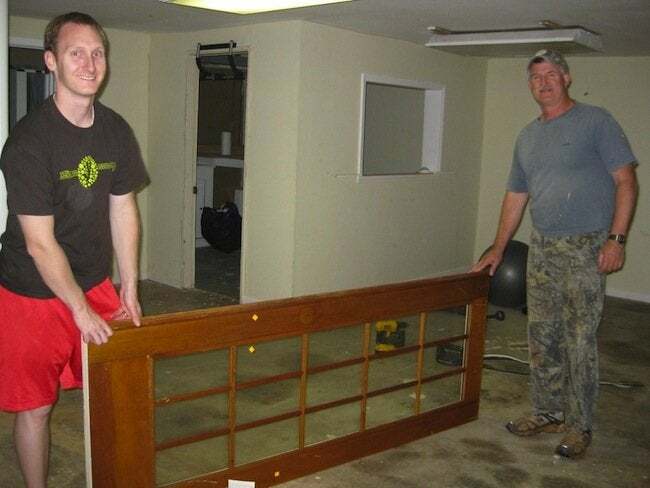 Chris had the great idea of somehow turning this door into a headboard! I had the vision for how to finish it out. 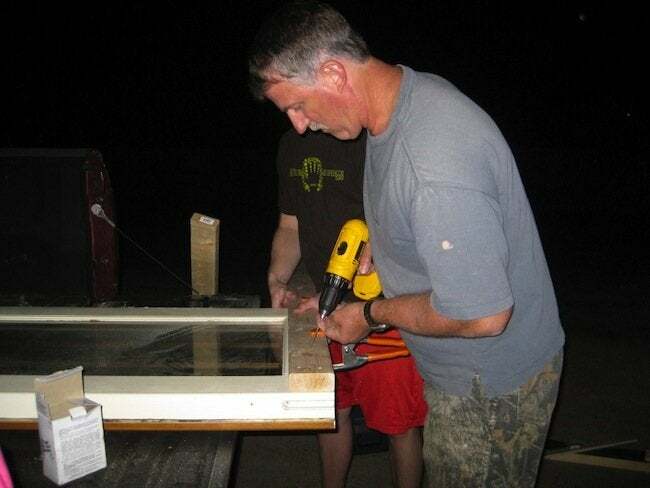 Chris and my dad had the know-how to build the frame and make it happen. First, we had to saw a little off of each side. It was so much wider than our Queen bed! Then, they started building the frame. They put a 2×4 on each side and then two running horizontally to connect them. 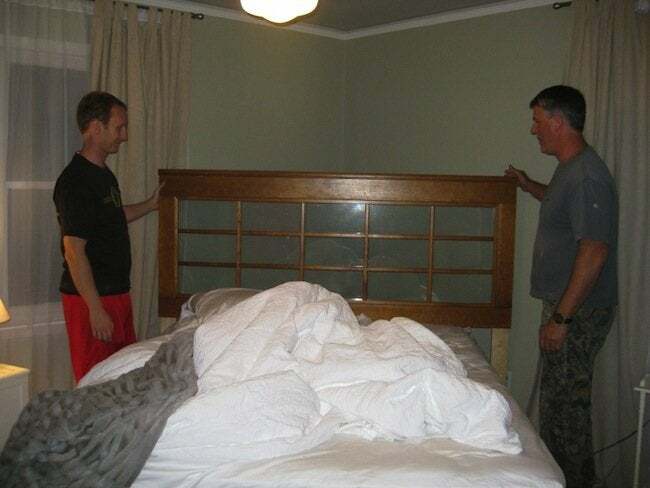 Here they are checking to make sure the frame fits the bed. Once we knew it fit, we lugged it back downstairs for painting and finishing. 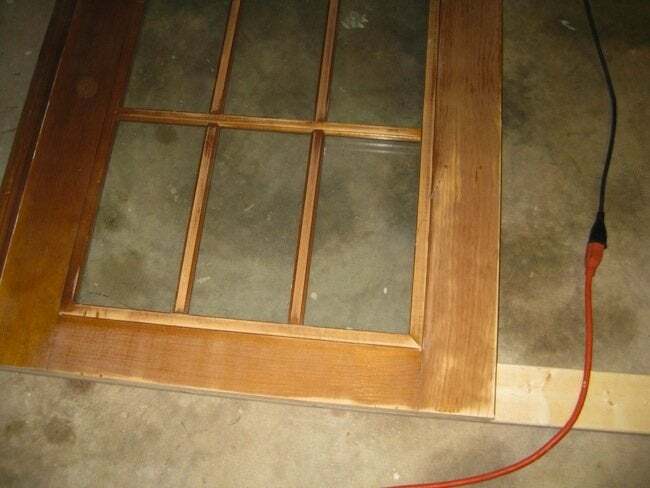 Next, we sanded off the old stained finish with our handy palm sander. Then, it was time for the paint. I thought it would need at least two coats, but since I wanted a more rustic feel and was planning to sand some paint off anyway, one coat did the trick! Thanks, Lindsay! To see even more home DIY projects or check out Lindsay’s home styling services, visit her site.